Top 10 Best Piano Fake Books for Sale! A piano fake book? What is that? A piano fake book is a real book, usually with thousands and thousands of pages and thousands and thousands of songs! Wait a minute! So what’s “fake” about that? Piano fake books are called “fake” because they don’t come with the song arrangements…. You only see the melody for the right hand and the chords you have to play. The arrangement is left for the musician to improvise! That’s why they are called “fake” books. 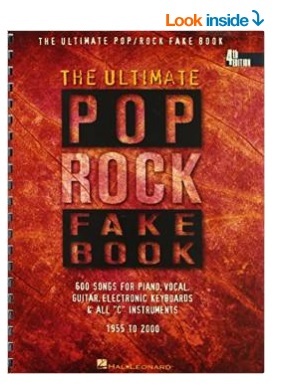 *If you are a classic rock lover, this is the fake book for you! It comes with over 250 classic rock songs! 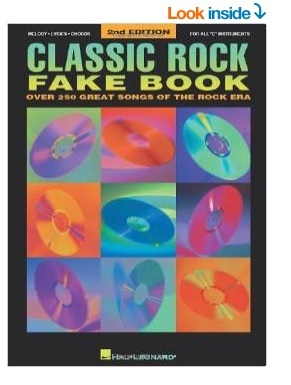 This fake book is a great compilation of more than 250 terrific songs of the rock era, arranged for piano, voice, guitar and all C instruments. I have this book and it was one of the first I bought for myself. 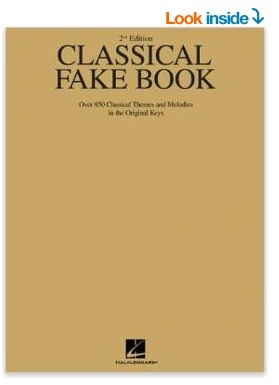 Why should I buy a piano fake book? Play Thousands of Songs Fast! Well, if you are a professional piano player or guitar player, you know the answer to this question. 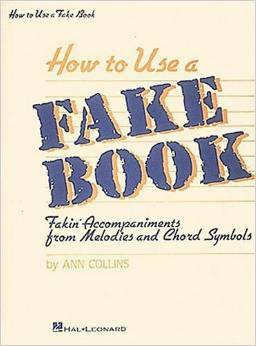 A piano fake book can be used for guitar players as well, as the chords will be easily recognized by them. Songs from piano fake books can give students and pros alike, hundreds of possibilities on how to play the same song! It opens up your musical horizons in ways a formal music book can’t! The fake book will put all your skills as a musician to the test while teaching you new ways to play your favorite songs! 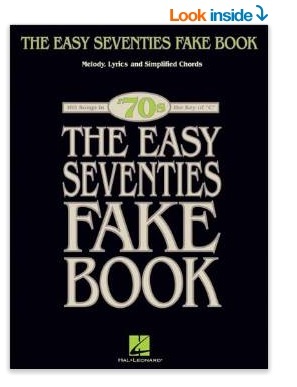 *The Easy 70’s Fake Book is the best piano fake book out there packed with the best 70’s music! You are going to be playing Baby, I Love Your Way * Crocodile Rock * Drift Away * Free Bird * I’ll Take You There * Joy to the World * Let It Be * My Way * Stayin’ Alive and many more songs in no time! 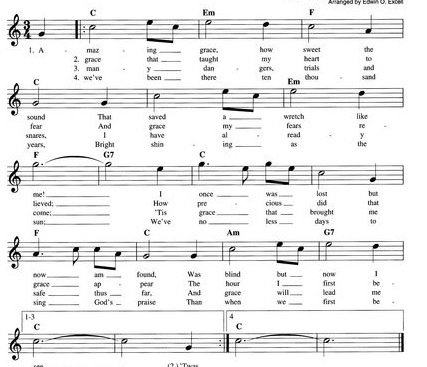 On this picture we have an example of a song from a piano fake book, “Amazing Grace”. We can see the basic melody, for the right hand, and the chords we have to play, right above the notes. The rest is up to you, the musician! 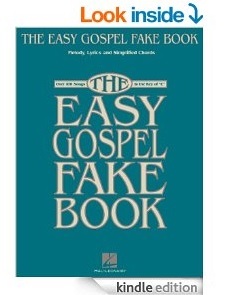 Fake books are the number one choice for musicians that prefer playing pop, rock, love, jazz, wedding and church songs. You have immediate access to thousands and thousands of songs that can be played in a matter of minutes! If you love Gospel music and it is your dream to learn how to play the best Gospel songs on the piano or keyboard, this is the best ‘fake book’ for you! It is the ‘easy version’ of great Gospel songs on the piano! Most happy buyers gave this Gospel fake book 5 stars because they cannot believe they can finally play Gospel music on the piano! Just practice a little bit every day! Best Piano Fake Books for Sale! If you are new to ‘fake piano playing’ then this is a must have for you! This will be your very first purchase! 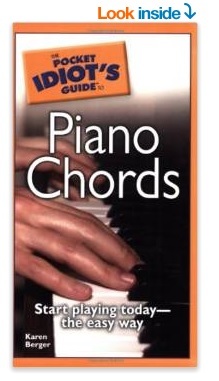 This is a fantastic book that will teach you exactly how you can play from a piano fake book. The book is good for all levels, from beginners to advanced piano players. They use a step by step approach, in a very understandable way. (I bought this book for myself a few years ago so I could expand my piano skills further and boy did I do just that! It’s like a brand new musical world just opened up for me! If you are like me and really like to be very thorough in your learning, then you should also get this one! It is very good and will explain step-by-step what to do with your left hand and how to play the chords. Learning how to play from fake books is basically a ‘short cut’ you are taking in your piano playing. It is perfect for people who only want to play piano songs fast! Every song is made up of chords! When you learn a few of the most basic piano chords you are halfway in playing the piano! When you learn how to play chords, you will be able (and free) to play any popular song on the piano or keyboard! This small pocket book is perfect for piano beginners and intermediate players who are having a hard time understanding piano chords and what to do with them. I strongly recommend also getting this book, together with the ones above plus your favorite Fake Book full of songs. Then you will be all set and ready to start playing beautiful music! 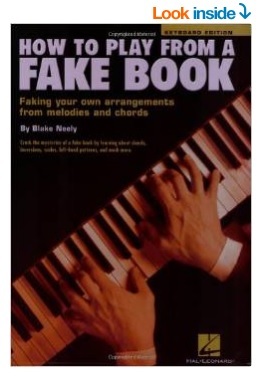 The BEST Piano Fake Book for Piano Players! In my opinion, this is the best fake book out there ever! This was my first piano fake book and the one I use the most! It is perfect for parties and small gatherings! A must have for any musician! 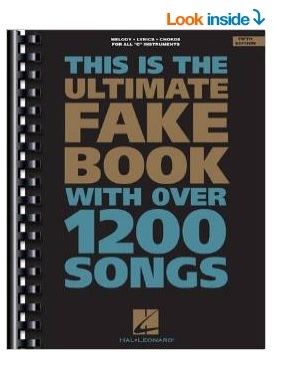 This one is another must have fake book for any musician! It comes with over 1200 songs of all styles! You will never get bored again on a rainy afternoon after you buy this book! It will provide you with hours and hours of fun and practice! I bought this book for myself in 2009 and I still haven’t been able to go through all the songs! It is definitely a great piano fake book to have if you play regularly at wedding gigs, birthday parties or even at your local bar! There are beautiful songs in all music styles! I love to find cool songs to play from this book! Every day I find a new one! Who says you can’t play classical music from a fake book? Yes, you can ‘fake’ classical music too! But you will need to have a deeper understanding of classical music to play from this one….. It has hundreds of the most beautiful classic music of all times! If you have always wanted to play classic music on the piano but never could because it’s too difficult, here is your chance! 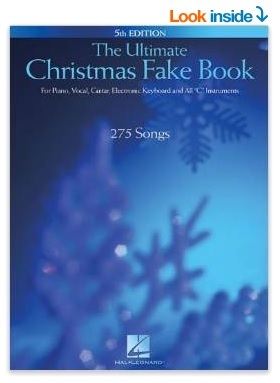 And last, but not least, a Christmas piano fake book! This one is a beautiful book! It comes with all of our favorite Christmas music! I have so much fun with this book every Christmas! Have a Merry Christmas playing the piano for everyone! *If you are teaching yourself how to play the piano, here are the best self-teaching piano books to have! BEST PIANO LESSON BOOKS FOR ADULTS!